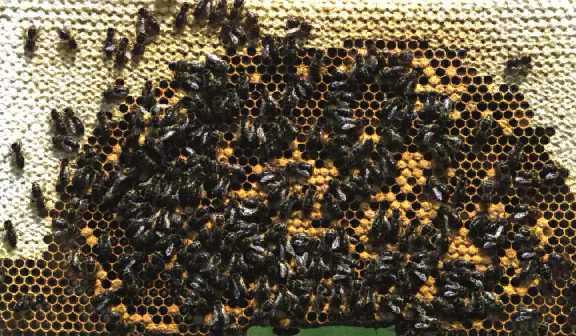 A cross section of a honey bee hive shows the comb, a latticework of hexagonal cells made of beeswax. The center is the realm of the queen, eggs, larvae, and pupae. Honey, the energy source for the colony, is kept in the outermost cells, which are carefully sealed with wax when full.